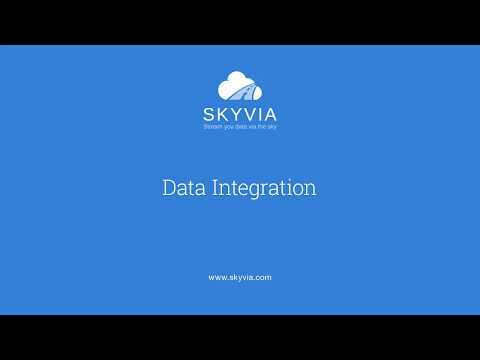 Skyvia is a cloud data platform for data integration, backup & management. It provides quick and easy data integration with no coding, secure cloud-to-cloud data backup with one-click restore and online data management via SQL. Skyvia Data Integration enables users to perform data export, import, replication, synchronization in a simple user interface with no coding. With Skyvia Backup users get automatic daily and anytime manual cloud-to-cloud backup with search, view, export and few clicks restore functionality. Skyvia Query enables user to access cloud and database data from web browser, design SQL queries using visual query builder without any coding (simply by drag and dropping the necessary fields) and visualize results as grid or charts to get quick data insights. Skyvia Connect allows exposing your cloud and on-premise data via OData REST API. Subscription that costs between $0 and $699. Price may vary depending on commitment and so on. Skyvia was added by DevartSoftware in Jul 2014 and the latest update was made in Mar 2019. The list of alternatives was updated Mar 2019 There is a history of all activites on Skyvia in our Activity Log. It's possible to update the information on Skyvia or report it as discontinued, duplicated or spam. Alternatives to Skyvia for Web, Windows, Linux, Mac, iPhone and more. Filter by license to discover only free or Open Source alternatives. This list contains a total of 25+ apps similar to Skyvia. No reviews yet for Skyvia, want to be first? Maybe you want to be the first to submit a comment about Skyvia? Just click the button up to your right!